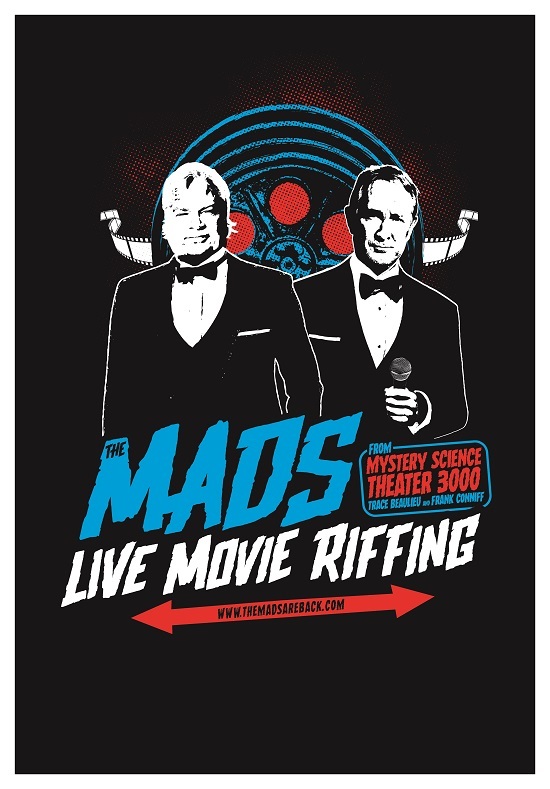 The MADs from Mystery Science Theater 3000 are Back! ...Saturday, September 15th at 6:00PM TICKETS AVAILABLE NOW! The Mads Are Back as part of the Boston Comedy Festival! Join Mystery Science Theater 3000’s Frank Conniff and Trace Beaulieu as they screen some of the worst movies ever made and riff, or comedicaly make fun of, them LIVE in the same style as the Peabody Award-winning TV series. The Mads will riff a film and a short, and will do a Q&A afterwards. There will also be a Meet & Greet before and/or after the show, as time allows. Trace Beaulieu is a comic actor, writer, performer. He was a founding member of the Emmy nominated, Peabody Award-winning, cult hit show Mystery Science Theater 3000. In addition to writing, occasionally directing, designing and building sets and props, Trace performed the puppet character Crow T. Robot, and mad scientist Dr. Clayton Forrester. He repeated these roles in the 1996 film version of the show, MST3K: THE MOVIE. Trace wrote for ABC’s America’s Funniest Videos for nine seasons. He played a recurring character on Freak and Geeks, and has had cameo appearances on The West Wing and Arrested Development. For six years, he toured with the original cast of MST3K in a live movie riffing show, called CINEMATIC TITANIC. His most recent acting work includes the voice of A.R.T. the robot on Paul Feig’s OTHER SPACE, Dr. Sam Lodgpole on the web series VERMIN. He recently played Jonah Ray’s creepy uncle on HIDDEN AMERICA season 2. His voice can be heard on the upcoming Adult Swim series TIGTONE.